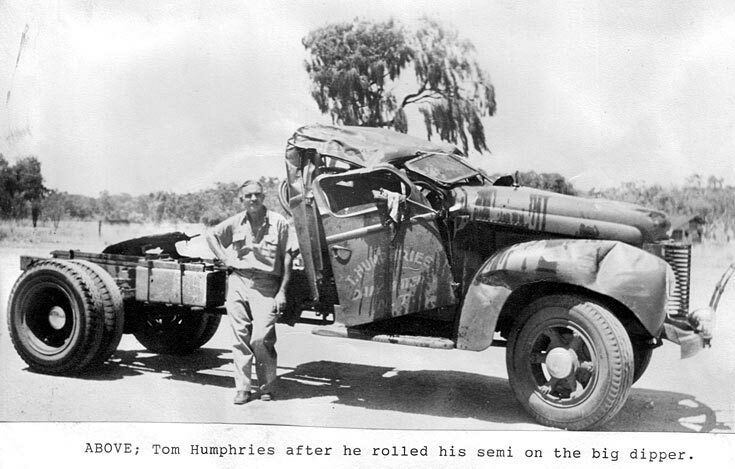 Tom Humphries owned the Daly Waters Hotel and used to cart his own beer and supplies from the Alice Springs railhead. He rolled his truck on the "big dipper' outside of town. See picture #2055.